10th May 2012. In this edition of the ExplorOz Newsletter we announce some new editions of products in the Online Shop, the ExplorOz Facebook Sign In system, new Business Members, plus the latest LED Mono lights are here! As the weather's getting colder and many of you are planning your trips to the outback over the winter travel season, we've got new editions of some of our most popular products that will help you both in the trip planning stage and for navigation when on the road. This 7th Edition of our most popular digital map DVD features Australia-wide map coverage including both topographic mapping and over 65 digital versions of Hema's Regional Maps. Use it for trip planning, and navigation (combined with a GPS receiver) so that you know you're covered no matter how remote the areas you're travelling to. Get your copy here. 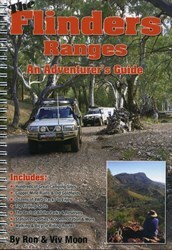 After being out of print for over a year, this definitive guide book to the Flinders Ranges is back and better than ever. Ron and Viv Moon have released this fully updated and revised guide in traveller friendly spiral bound format, and it is a must-have for anyone heading to the area. Get your copy here. Also back in stock, the new 2nd Edition of the Cape York - Bush Tucker Man map, which is a waterproof map based upon the Hema Cape York Map, with additional information provided by Les Hiddins - The Bush Tucker Man. Plus, don't forget the Kimberley edition, also available from the Online Shop. Especially for Facebook users, we have a new ExplorOz App. To load the app, you need to change your log in process on ExplorOz. Simply click on your orange "My Home" tab and logoff (if using the "Remember Me" function). Then just click the orange Login tab and you'll immediately notice the new "Sign in with Facebook" button - click this button to install the app. The ExplorOz Online Shop now has Gift Certificates available, with prices starting at only $20. So give Mum the gift to choose from hundreds of useful products this Mother's Day (plus, it's great as a last minute gift as you'll receive your certificate within 1 day). 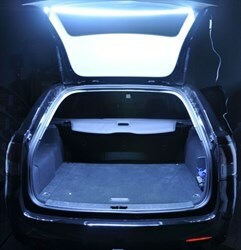 The 4x4 Equip Mono White Strip Lights have just arrived in the warehouse. 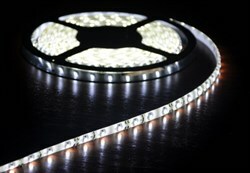 At only 8mm wide and available in 1000mm and 2000mm lengths, these lights are mounted with 3M adhesive backing, making them a verstatile lighting solution for just about any location. View all details in the shop here. 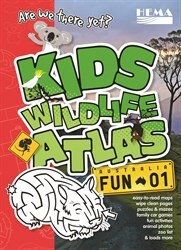 Following the popularity of the Kids Road Atlas, we've now added the Kids Wildlife Atlas to the Shop Range. For only $9.95 keep the kids entertained while they learn, see it in the ExplorOz Shop here.